As if in the Philippines we don't have enough of these amazing vocal talents. When it comes to Disney songs, however, there is never enough. 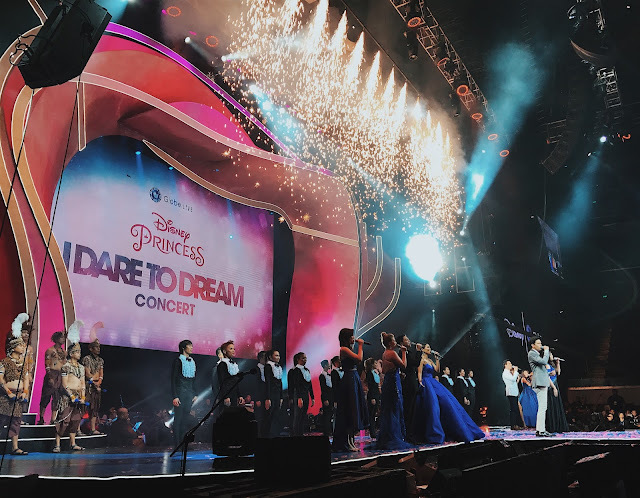 In a spectacular night of astonishing vocals and stunning stage production, the country's premiere voices come together to culminate Globe's I Dare to Dream, a web series that feature young girls gunning for each of their life's hopes. Julie Anne San Jose provided a stellar rendition of the Moana theme "How Far I Go" which is followed by Aicelle Santos' powerful performance of the Katy Perry original "Roar". A few hours later, reaction videos populate YouTube, talking about Morissette Amon and Erik Santos's beautiful reprise of the new version of the "Beauty and the Beast" song. Then of course, there's Lea Salonga who sang with Christian Bautista for a live reminder of her mesmerizing "A Whole New World" singing stint. She also went on with another memorable performance of the Pinocchio theme. The audience in the MOA Arena were wowed last March 22. In case you weren't there, we saved you videos to serenade you in awe. Enjoy!